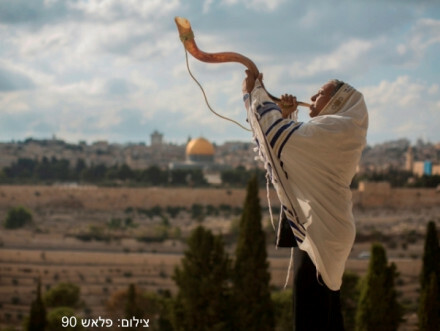 Rosh Hashana: Why do we blow the Shofar? Rosh Hashana, the biblical Jewish New Year is described in the Torah (Lev. 23:24) as a “zikhron teruah”: A time of “blowing [of the shofar] of remembrance”. WHAT are we to “remember” and WHY do we blow the Shofar (ram’s horn)? Rosh Hashana not only marks the biblical New Year and therefore new beginnings, but is also the anniversary of the Creation, culminating in the creation of humankind – Adam & Eve- on the sixth day. On Rosh Hashana we crown and proclaim God as king of the universe and remind ourselves that the Creation was an act of the purest love, that we are all created equal as beloved children of God, and that we are called to emulate God by going go out into the world and doing acts of loving kindness in our everyday lives – both at home and at work. The “shofar (ram’s horn) of remembrance” (Lev. 23:24) reminds us of God’s servant Abraham, the depth of his faith with the sacrifice of Issac, and how he took the ram instead when the angel stopped his hand. Abraham was chosen by God not only because of his faith, but more importantly because of his quality of “chesed”- loving kindness towards all human beings, including strangers- and willingness to act on their behalf. This is demonstrated in the story of Sodom and Gemorrah and how he pleads with God not to destroy the evil pagan inhabitants. This entry was posted in Themes & Traditions and tagged Day of Remembrance, Holy Land, Holy Land Pilgrimage, Israel, Jerusalem, Jewish New Year, Mount of Olives, Ram's Horn, Rosh Hashana, Shofar by zshavin. Bookmark the permalink.